Addressing the material challenges associated with the Internet of Things (IoT), the Necomada consortium are allowing for the integration of electronics into a wide range of everyday items. The Necomada (Nano-Enabled Conducting Materials Accelerating Device Applicability) project, which involves the collaboration of 13 partners, incorporates advanced functional materials to develop customised inks and flexible adhesives that are compatible with high volume manufacturing platforms, with an emphasis on low-cost production. These materials will support high-speed, roll-to-roll integration and large area electronics to address the IoT opportunities. Necomada also aims to deliver a supply chain that enables future commercialisation and includes a wide range of end-users to ensure its commercial viability within a range of industries including: apparel, healthcare, printing, domestic appliances, smart packaging, and fast-moving consumer goods. There is a need for mass production of low-cost printable electronics to enable the development of flexible electronic devices that are compatible with a wide range of consumer goods, not only products with a rigid form. This will be achieved by enabling roll-to-roll fabrication: the process of manufacturing electronics on a roll of flexible material. Existing production lines utilise expensive materials, and are limited to the integration of a single component per tag. The Necomada project will advance material development to reduce the final system costs, and trial them on a roll-to-roll pilot line located at the Centre for Process Innovation with novel capability to assemble more complex systems at the throughputs and cost points demanded by high-volume applications. The pilot facilities being developed will be available for use by industrial partners to trial their innovative product and material solutions. Initial target applications for demonstrative products include Near Field Communication (NFC) and Radio Frequency Identification (RFID) tags. The Necomada project is all about the IoT and works towards the movement to the fourth industrial revolution, or Industry 4.0, which describes the current trend of automation and data exchange in manufacturing technologies. Necomada involves the collaboration of thirteen partners: the Centre for Process Innovation Ltd (CPI), Henkel Electronic Materials (HEM), PragmatIC Printing Ltd, Teknologisk Institut (DTI), Contitech Elastomer-Beschichtungen, Nanogap Sub-NM-Powder SA, Thomas Swan, BSH Electrodomesticos Espana Henkel KGaA, Crown Packaging Manufacturing UK, Fraunhofer, Tyoeterveyslaitos (FIOH) and NXP Semiconductors. 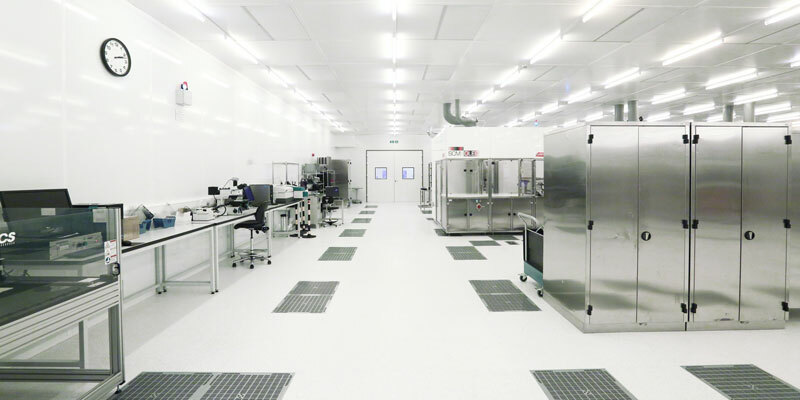 The project will use and build on CPI’s open access pilot facilities at the UK’s National Centre for Printable Electronics to develop hybrid integration systems for printed electronics as well as new materials development. Hybrid systems combine the strengths of two complementary technologies, large area electronics to enable the flexibility and silicon CMOS (complementary metal-oxide-semiconductor) integrated circuits for high performance. Necomada’s complete supply chain also supports developments from pilot scale production, with manufacturing companies such as Henkel, BSH and Crown Packaging involved from the beginning of the project to ensure that the end application requirements can be met. “CPI is delighted to be coordinating the project Necomada, which aligns with its core strategy of taking innovation through to commercialisation. We believe that the unique blend of skills and capabilities within our consortium will enable us to develop materials that will support high-speed, roll-to-roll integration of hybrid and large area electronics. This will unlock many of the opportunities that the Internet of Things presents to a wide range of stakeholders,” added Jon Helliwell, Business Development Director, Centre for Process Innovation. This project has received funding from the European Union’s Horizon 2020 research and innovation programme under grant agreement No 720897. How do you make sure that you are IoT ready?